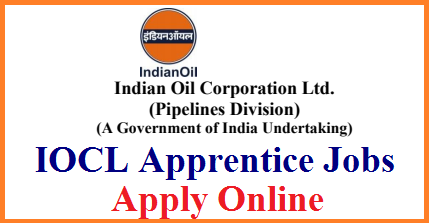 IOCL Apprentice Recruitment Notification 2019 is announced on 16th Feb 2019 by the IOCL Officials for the Hiring of 466 Trade And Technician For Indian Oil Corporation Limited (IOCL) and the Candidates who completed their ITI and Diploma can Open the IOCL Apprentice Recruitment 2019 and then register for the IOCL Apprentice Jobs on or before 08th March 2019. Fresh IOCL Apprentice Notification 2019 of IOCL for the designation of Trade And Technician is given here in this post. Go and See the details shown in this post to known either you are eligible for these vacancies or not. If you perfectly eligible for these vacancies don’t hesitate to apply for these vacancies listed under IOCL Apprentice Jobs Advertisement and don’t miss out on the opportunity of associating with such a large organization that is IOCL. Then Fill the online IOCL Apprentice Application Form for these 466 Apprentice vacancies within the application available dates they are 16th Feb To 08th March 2019. For the announcement of this IOCL Apprentice notification, many people are waiting And those who are selected in Written test and interview Will get One Year Training at particular IOCL Pipelines Division to which the candidate belong. The chances of employment from this organization is only confined to only some departments in which the organization has been operated. So if you are the one having the required qualifications as per this IOCL Apprentice Vacancy you are apt for this recruitment notification. Over the complete information, it consists of only the details that are useful for the applicant to participate in the recruitment process. Once you become a part of this organization, then slowly through the experience you can gain a better position in the company. To Apply For the IOCL Apprentice Online form using the www.iocl.com recruitment online links. The willing candidates who are eligible for this IOCL Apprentice Recruitment 2019 Notification should the educational qualification as given here for the different posts. Step by step procedure to fill the application form of IOCL Apprentice Recruitment 2019? Once Check All the Requirements of the Check IOCL Trade Apprentice Recruitment 2019. Click on the Registration link of IOCL Trade Apprentice Recruitment 2019.
upload necessary documents, Photo, and Sign and Make Payment. Submit the Filled IOCL Apprentice application Form. Take a print out of the submitted application form for further reference. The latest notification of the IOCL Apprentice Recruitment is out. Giving the chance of filling 390 vacancies with the perfectly suitable candidates. If you are eager to be one among the selected candidates, then open the IOCL Apprentice Online Application Form and execute the application process very fast. Following this procedure, you can make the plan of scoring good marks in the written test. The properties that are needed to figure out the perfect plan are syllabus As the Written Test is conducted to hire the candidate, those who clear it will get Trained For a specified time period and the respective Certificate is offered to those who complete the Training.